The Arecibo Observatory seen from the air (Credits: NOAA). The National Geographic Channel is preparing to broadcast tweets from the public into Space on the 15th of August 2012 to celebrate the 35th anniversary of the so called WOW Signal. The WOW Signal was a transmission from space received in 1977 with the message “6EQUJ5”, where letters and numbers represented signal intensity. The message was received over a 72 second period, and was never detected again but was widley seen as potential contact from an extraterrestrial intelligence. When researcher Jerry Ehman saw the signal on paper, he circled it and marked with a “Wow!”, an exclamation that became its official name. The National Geographic Channel is providing an opportunity to anyone with a Twitter account to reply to this message by sending a tweet to our neighbours in space. 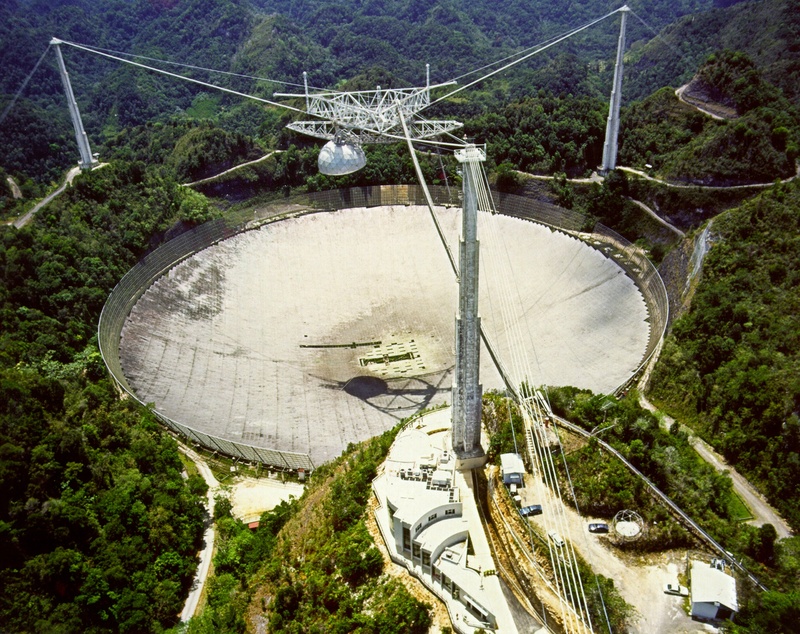 The tweets will be rebroadcast on August 15th from the Arecibo Deep Space Telescope. 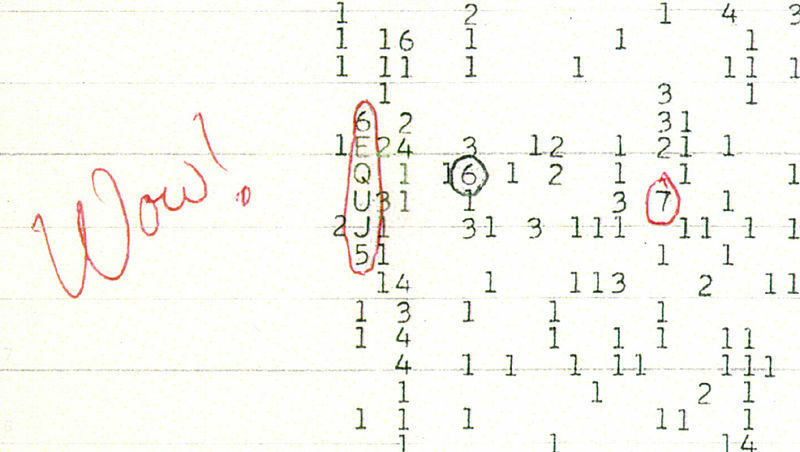 An image of the original computer printout of the WOW signal (Credits: The Ohio State University Radio Observatory and the North American AstroPhysical Observatory ). The platform empowers anyone to send their tweets to another world. The signal may be travelling for many years, so the activity itself is an interesting social experiment. Even if the messages are never received, the fact that they have been sent engages the public and provides a means for average people to try to initiate communications with Extra Terrestrial Intelligences. All the messages will be unfiltered and uncensored. This raises a lot of questions, like: what does the twitter society want to communicate in 140 characters with other civilizations in response to the six character original message “6EQUJ5”? Will those who receive the message on the other end be able to find a solution to decode our script? According to Steven Coulson, the creative director of the marketing agency behind the initiative, “earlier transmissions have focused on simplicity, whereas this one will rely more on creating a complex but noticeable pattern”. When the patterns are recognized, there might be a chance that the receiver will find a way to understand the meaning of these messages. The National Geographic Channel initiative is playing out the dream of Jill Tarter from the Search for Extra Terrestrial Intelligence (SETI) Institute who once wished “to empower Earthlings everywhere to become active participants in the ultimate search for cosmic company.” This project, which Mashable calls “a blatant self-promotion,” of the Channel’s “Chasing UFOs” television program, sounds so crazy that it just might work.